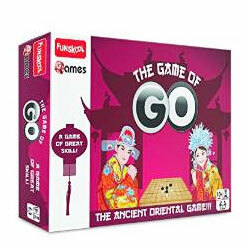 Treat your near and dear ones in an exclusive way with this Frizzy Funskool Game of Go and make them feel very special. This game helps to increase the concentration, attentiveness and problem solving of your children aged above 10 years. This game is a strategic war game played between two players.